The MySQL Configurator is a utility we created to optimize the MySQL settings for Rock Gym Pro. Specifically this utility optimizes your InnoDB settings to handle large database queries. If your Customer Queries or Reports are running slow, than this utility might speed them up. It also sets the maximum number connections to a high value, which is important for multigym operations. Finally, it adds the “skip-name-resolve” parameter to prevent MySQL from doing reverse DNS lookups on incoming connections which can slow down the workstations’ connections to the RGP database. The utility also configures your Windows Firewall and MySQL Server to allow access to MySQL from your workstations. Download the file onto your server. Run the program. Administrator access is required. Please Note: We update this utility periodically. When an update is released, Microsoft can sometimes flag the utility as “unrecognized” for a short period. This may cause a Windows popup to appear on your screen alerting you that the app is potentially unsafe. 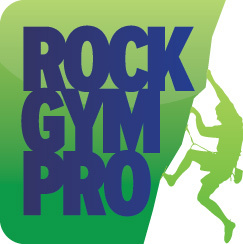 Rest assured that the code is safe and has been published by Rock Gym Pro (shown as RGP Development). If you see this popup window, simply follow the two steps below.